Energy efficiency improvement — with one of the available options being more efficient end use of electricity — is regarded as contributing substantially to the achievement of greenhouse gas emission targets in the Community. Electricity demand is the fastest growing energy end use category and is projected to grow within the next 20 to 30 years, in the absence of any policy action to counteract this trend. A significant reduction in energy consumption as suggested by the Commission in its European Climate Change Programme (ECCP) is possible. Climate change is one of the priorities of the Sixth Community Environment Action Programme, laid down by Decision No 1600/2002/EC of the European Parliament and of the Council (3). Energy saving is the most cost-effective way to increase security of supply and reduce import dependency. Therefore, substantial demand side measures and targets should be adopted. 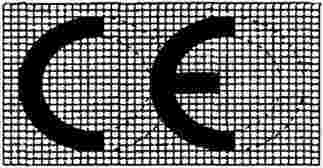 Regard should be given to the modules and rules intended for use in technical harmonisation Directives set out in Council Decision 93/465/EEC of 22 July 1993 concerning the modules for the various phases of the conformity assessment procedures and the rules for the affixing and use of the CE conformity marking, which are intended to be used in the technical harmonisation directives (4). This Directive is in accordance with certain principles for the implementation of the new approach as set out in the Council Resolution of 7 May 1985 on a new approach to technical harmonisation and standards (5) and of making reference to harmonised European standards. The Council Resolution of 28 October 1999 on the role of standardisation in Europe (6) recommended that the Commission should examine whether the New Approach principle could be extended to sectors not yet covered as a means of improving and simplifying legislation wherever possible. This Directive is complementary to existing Community instruments such as Council Directive 92/75/EEC of 22 September 1992 on the indication by labelling and standard product information of the consumption of energy and other resources by household appliances (7), Regulation (EC) No 1980/2000 of the European Parliament and of the Council of 17 July 2000 on a revised Community eco-label award scheme (8), Regulation (EC) No 2422/2001 of the European Parliament and of the Council of 6 November 2001 on a Community energy efficiency labelling programme for office equipment (9), Directive 2002/96/EC of the European Parliament and of the Council of 27 January 2003 on waste electrical and electronic equipment (WEEE) (10), Directive 2002/95/EC of the European Parliament and of the Council of 27 January 2003 on the restriction of the use of certain hazardous substances in electrical and electronic equipment (11) and Council Directive 76/769/EEC of 27 July 1976 on the approximation of the laws, regulations and administrative provisions of the Member States relating to restrictions on the marketing and use of certain dangerous substances and preparations (12). Synergies between this Directive and the existing Community instruments should contribute to increasing their respective impacts and building coherent requirements for manufacturers to apply. Since Council Directive 92/42/EEC of 21 May 1992 on efficiency requirements for new hot-water boilers fired with liquid or gaseous fuels (13), Directive 96/57/EC of the European Parliament and of the Council of 3 September 1996 on energy efficiency requirements for household electric refrigerators, freezers and combinations thereof (14) and Directive 2000/55/EC of the European Parliament and of the Council of 18 September 2000 on energy efficiency requirements for ballasts for fluorescent lighting (15) already contain provisions for the revision of the energy efficiency requirements, they should be integrated into the present framework. The requirements laid down in Council Directive 78/170/EEC of 13 February 1978 on the performance of heat generators for space heating and the production of hot water in new or existing non-industrial buildings and on the insulation of heat and domestic hot-water distribution in new non-industrial buildings (16) have been superseded by provisions of Directive 92/42/EEC, Council Directive 90/396/EEC of 29 June 1990 on the approximation of the laws of the Member States relating to appliances burning gaseous fuels (17) and Directive 2002/91/EC of the European Parliament and of the Council of 16 December 2002 on the energy performance of buildings (18). Directive 78/170/EEC should therefore be repealed. Council Directive 86/594/EEC of 1 December 1986 on airborne noise emitted by household appliances (19) lays down the conditions under which publication of information on the noise emitted by such appliances may be required by Member States, and defines a procedure to determine the level of noise. For harmonisation purposes noise emissions should be included in an integrated assessment of environmental performance. Since this Directive provides for such an integrated approach, Directive 86/594/EEC should be repealed. ‘Harmonised standard’ means a technical specification adopted by a recognised standards body under a mandate from the Commission, in accordance with the procedure laid down in Directive 98/34/EC of the European Parliament and of the Council of 22 June 1998 laying down a procedure for the provision of information in the field of technical standards and regulations (24), for the purpose of establishing a European requirement, compliance with which is not compulsory. to take samples of products and subject them to compliance checks. Member States shall also authorise the provision of this information in one or more other official Community language(s). the type of user anticipated for the EuP and the nature of the information which is to be provided. Where there is sufficient evidence that an EuP might be non-compliant, the Member State shall take the necessary measures which, depending on the gravity of the non-compliance, can go as far as the prohibition of the placing on the market of the EuP until compliance is established. Where non-compliance continues, the Member State shall take a decision restricting or prohibiting the placing on the market and/or putting into service of the EuP in question or ensure that it is withdrawn from the market. In cases of prohibition or withdrawal from the market, the Commission and the other Member States shall be immediately informed. Following that consultation, the Commission shall immediately inform the Member State which took the decision and the other Member States of its views. If a Member State has strong indications of probable non-compliance of an EuP, that Member State shall as soon as possible publish a substantiated assessment of the EuP's compliance which may be conducted by a competent body in order to allow timely corrective action, if any. If an EuP covered by implementing measures is designed by an organisation registered in accordance with Regulation (EC) No 761/2001 of the European Parliament and of the Council of 19 March 2001 allowing voluntary participation by organisations in a Community eco-management and audit scheme (EMAS) (25) and the design function is included within the scope of that registration, the management system of that organisation shall be presumed to comply with the requirements of Annex V to this Directive. If an EuP covered by implementing measures is designed by an organisation having a management system which includes the product design function and which is implemented in accordance with harmonised standards the reference numbers of which have been published in the Official Journal of the European Union, that management system shall be presumed to comply with the corresponding requirements of Annex V.
The relevant documents shall be made available within 10 days upon receipt of a request by the competent authority of a Member State. 1. When an EuP meets the criteria listed under paragraph 2, it shall be covered by an implementing measure or by a self-regulation measure in accordance with paragraph 3(b). When the Commission adopts implementing measures, it shall act in accordance with the procedure referred to in Article 19(2). a wide disparity in the environmental performance of EuPs available on the market with equivalent functionality. set implementing date(s), any staged or transitional measure or periods, taking into account in particular possible impacts on SMEs or on specific product groups manufactured primarily by SMEs. 10. Where appropriate, an implementing measure laying down ecodesign requirements shall be accompanied by guidelines, to be adopted by the Commission in accordance with Article 19(2), on the balancing of the various environmental aspects; these guidelines will cover specificities of the SMEs active in the product sector affected by the implementing measure. If necessary and in accordance with Article 13(1), further specialised material may be produced by the Commission for facilitating implementation by SMEs. The working plan shall set out for the following three years an indicative list of product groups which will be considered as priorities for the adoption of implementing measures. This Directive constitutes an implementing measure within the meaning of Article 15 of Directive 2005/32/EC of the European Parliament and of the Council of 6 July 2005 establishing a framework for the setting of ecodesign requirements for energy-using products (26), with regard to energy efficiency during use, in accordance with that Directive, and may be amended or repealed in accordance with Article 19(2) of Directive 2005/32/EC. This Directive constitutes an implementing measure within the meaning of Article 15 of Directive 2005/32/EC of the European Parliament and of the Council of 6 July 2005 establishing a framework for the setting of ecodesign requirements for energy-using products (27) , with regard to energy efficiency during use, in accordance with that Directive, and may be amended or repealed in accordance with Article 19(2) of Directive 2005/32/EC. This Directive constitutes an implementing measure within the meaning of Article 15 of Directive 2005/32/EC of the European Parliament and of the Council of 6 July 2005 establishing a framework for the setting of ecodesign requirements for energy-using products (28), with regard to energy efficiency during use, in accordance with that Directive, and may be amended or repealed in accordance with Article 19(2) of Directive 2005/32/EC. Done at Strasbourg, 6 July 2005. (1) OJ C 112, 30.4.2004, p. 25. (2) Opinion of the European Parliament of 20 April 2004 (OJ C 104 E, 30.4.2004, p. 319), Council Common Position of 29 November 2004 (OJ C 38 E, 15.2.2005, p. 45), Position of the European Parliament of 13 April 2005, and Council Decision of 23 May 2005. (4) OJ L 220, 30.8.1993, p. 23. (6) OJ C 141, 19.5.2000, p. 1. (7) OJ L 297, 13.10.1992, p. 16. Directive as amended by Regulation (EC) No 1882/2003 of the European Parliament and of the Council (OJ L 284, 31.10.2003, p. 1). (8) OJ L 237, 21.9.2000, p. 1. (9) OJ L 332, 15.12.2001, p. 1. (10) OJ L 37, 13.2.2003, p. 24. Directive as amended by Directive 2003/108/EC (OJ L 345, 31.12.2003, p. 106). (12) OJ L 262, 27.9.1976, p. 201. Directive as last amended by Commission Directive 2004/98/EC (OJ L 305, 1.10.2004, p. 63). (13) OJ L 167, 22.6.1992, p. 17. Directive as last amended by Directive 2004/8/EC of the European Parliament and of the Council (OJ L 52, 21.2.2004, p. 50). (14) OJ L 236, 18.9.1996, p. 36. (15) OJ L 279, 1.11.2000, p. 33. (16) OJ L 52, 23.2.1978, p. 32. Directive as amended by Directive 82/885/EEC (OJ L 378, 31.12.1982, p. 19). (17) OJ L 196, 26.7.1990, p. 15. Directive as amended by Directive 93/68/EEC (OJ L 220, 30.8.1993, p. 1). (18) OJ L 1, 4.1.2003, p. 65. (19) OJ L 344, 6.12.1986, p. 24. Directive as amended by Regulation (EC) No 807/2003 (OJ L 122, 16.5.2003, p. 36). (21) OJ C 321, 31.12.2003, p. 1. (22) OJ L 194, 25.7.1975, p. 39. Directive as last amended by Regulation (EC) No 1882/2003. (23) OJ L 377, 31.12.1991, p. 20. Directive as amended by Directive 94/31/EC (OJ L 168, 2.7.1994, p. 28). (24) OJ L 204, 21.7.1998, p. 37. Directive as last amended by the 2003 Act of Accession. (25) OJ L 114, 24.4.2001, p. 1.
end-of-life, meaning the state of an EuP having reached the end of its first use until its final disposal. Addressing the environmental aspects identified in the implementing measure as capable of being influenced in a substantial manner through product design, manufacturers of EuPs will be required to perform an assessment of the EuP model throughout its lifecycle, based upon realistic assumptions about normal conditions and purposes of use. Other environmental aspects may be examined on a voluntary basis. Manufacturers will make use of this assessment to evaluate alternative design solutions and the achieved environmental performance of the product against benchmarks. (1) OJ 196, 16.8.1967, p. 1. Directive as last amended by Commission Directive 2004/73/EC (OJ L 152, 30.4.2004, p. 1). (2) OJ L 59, 27.2.1998, p. 1. Directive as last amended by Directive 2004/26/EC (OJ L 146, 30.4.2004, p. 1). A technical, environmental and economic analysis will select a number of representative models of the EuP in question on the market and identify the technical options for improving the environmental performance of the product, keeping sight of the economic viability of the options and avoiding any significant loss of performance or of usefulness for consumers. For the development of the technical, environmental and economic analyses, information available in the framework of other Community activities could be used. The date of entry into force of the requirement will take the redesign cycle for the product into account. This Annex describes the procedure whereby the manufacturer or its authorised representative who carries out the obligations laid down in point 2 of this Annex ensures and declares that the EuP satisfies the relevant requirements of the applicable implementing measure. The declaration of conformity may cover one or more products and must be kept by the manufacturer. A technical documentation file making possible an assessment of the conformity of the EuP with the requirements of the applicable implementing measure will be compiled by the manufacturer. The manufacturer must take all measures necessary to ensure that the product will be manufactured in compliance with the design specifications referred to in point 2 and with the requirements of the measure which apply to it. This Annex describes the procedure whereby the manufacturer who satisfies the obligations of point 2 of this Annex ensures and declares that the EuP satisfies the requirements of the applicable implementing measure. The declaration of conformity may cover one or more products and must be kept by the manufacturer. A management system may be used for the conformity assessment of an EuP provided that the manufacturer implements the environmental elements specified in point 3 of this Annex. the manufacturer will establish and maintain information to describe the core environmental elements of the management system and the procedures for controlling all documents required. a copy of the information concerning the environmental design aspects of the product provided in accordance with the requirements specified in Annex I, Part 2.
the manufacturer will carry out at least every three years a full internal audit of the management system with regard to its environmental elements. identification and signature of the person empowered to bind the manufacturer or its authorised representative. the date for the evaluation and possible revision of the implementing measure, taking into account speed of technological progress.